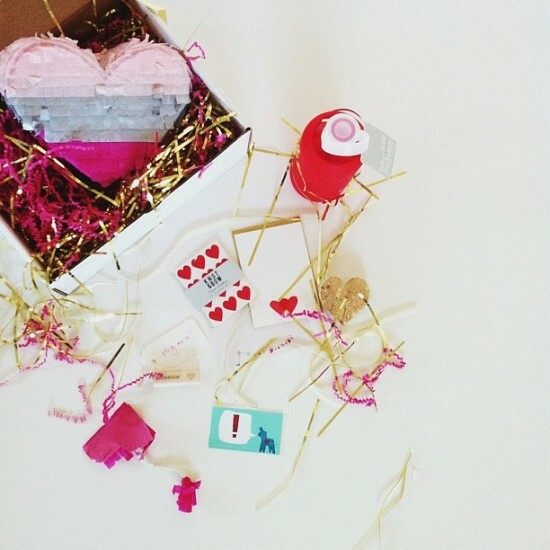 That is such a cute Valentines box, I want one! so cute, i would have loved to receive one of those in the mail! What a cute little box! Can’t wait to attend a blogshop in the future! When will you be in Boston again? Jealous! These boxes are too adorable! Happy Valentine’s Day!! I hope you have a great day!! you’re so awesome for doing these kind of things! OMG so stinkin cute. I’d love to receive one of these! Happy Valentine’s Day!!! This is so sweet of all of you! Very presh! Happy Valentine’s Day! I also had a rando question: How did you decide to move to California? HI Bri, I took your blogshop about 6 months ago here in LA. I am a graphic designer, but really took it cause I thought you were so cool and just wanted to be a part of something neat. I just wanted to send you a note on this lovely Valentine’s day to say that i LOVE your blog. It’s definitely a favorite of mine and brightens my every day! Have a great Valentine’s Day!!!! ohmygah pinksplosion! how adorbs. have a good trip! do pack warm clothes it is sooo cold here! eeeps! those boxes are so fun!